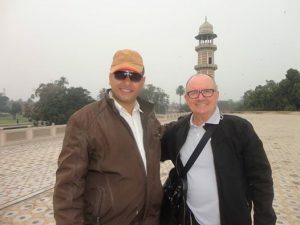 Shaikhupura is an industrial city and capital of Shaikhupura district in the province of Punjab about 35 km northwest of Lahore. 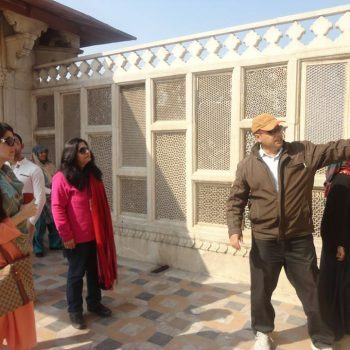 It is known for its historical places, like Shaikhupura fort and “Hiran Minar” hunting resort of Emperor Jahangir. The name Sheikhupura is derived from a nickname of Emperor Jahangir. 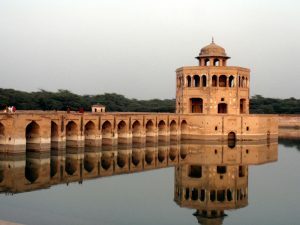 Hiran Minar Hunting resort of emperor Jahangir is an early 17th-century Mughal-era complex located in the town of Sheikhupura, in the Pakistani province of Punjab. The complex was built at the site of a game reserve in honor of Mughal Emperor Jahangir’s pet antelope. The Emperor is remembered for his fondness of nature, and his complex embodies the Mughal relationship between humans, pets, and hunting. 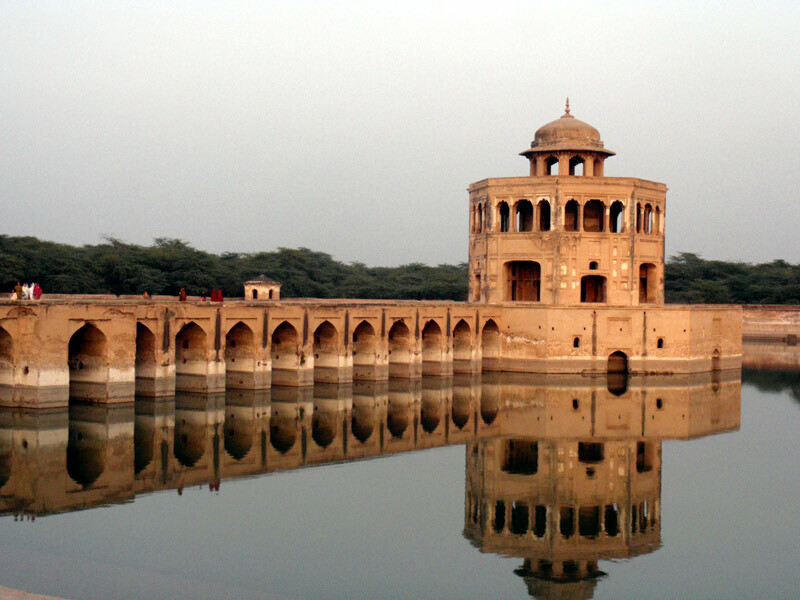 Hiran Minar was built during the reign of the Mughal Emperor Jahangir in a hunting reserve used by the Mughal royals. The reserve was built in a scrub forest, and allowed Mughal emperors to experience a sense of semi-wilderness near the imperial city of Lahore. The game-reserve was used as a park where visitors could enjoy the sport of hunting. 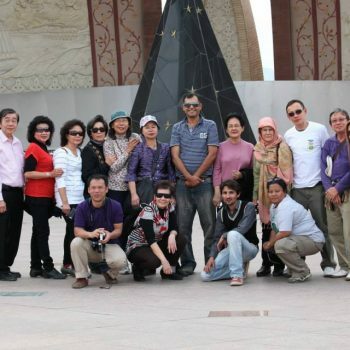 The minaret itself was built in 1606 C.E. as a monument to Emperor Jahangir’s beloved pet antelope, Mansiraj, or “Light of the Mind”, who had been trained to lure wild animals to the tank in order to be hunted.The practice of building such tomb-markers over the skulls of game animals is an ancient Persian custom. The minaret and tank were soon accompanied by a larger pavilion, built during the reign of Shah Jahan. 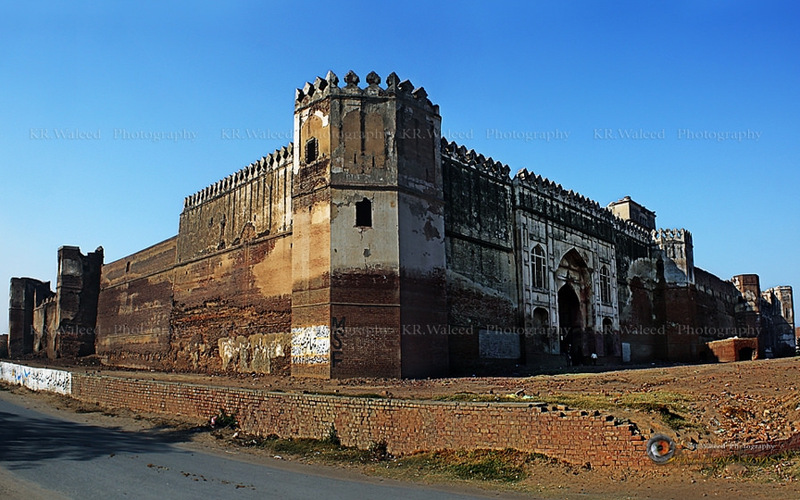 Sheikhupura Fort is a Mughal-era fort built in 1607 near the city of Sheikhupura in Punjab, Pakistan. 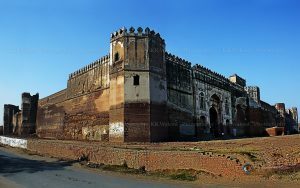 The fort was designed by Sikander Moeen and built during the reign of Emperor Jahangir. The fort was drastically altered during the Sikh-era, with numerous buildings constructed – some with exquisite Sikh-era frescoes. 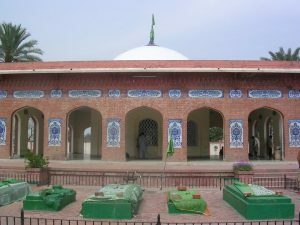 Waris Shah was born in Jandiala Sher Khan, Punjab, present-day Pakistan into a reputed Sayyid family and was a descendant of Sayyid Muhammad Al-Makki through his son Sayyid Badruddin. His father’s name was Gulsher Shah. Waris’s parents are said to have died when he was young. Waris acknowledged himself as a disciple of an ustad from Kasur, namely Hafiz Ghulam Murtaza from whom he received his education. 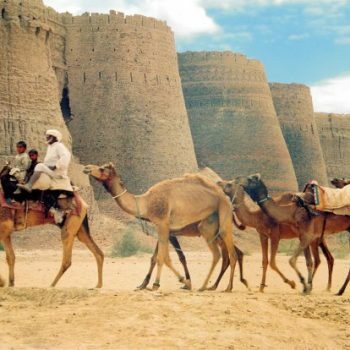 After completing education Waris moved to Malka Hans, a village twelve kilometres north of Pakpattan. Here he resided in a small room, adjacent to a historic mosque now called Masjid Waris Shah, until his death. His mausoleum is a place of pilgrimage today, especially for those in love. 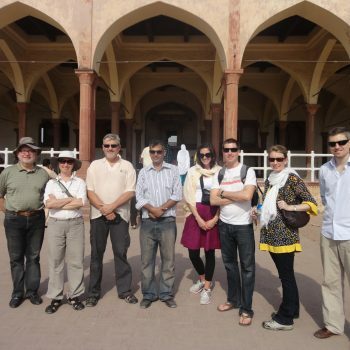 The mausoleum complex was completed in 1978 and is a mixture of the Lahore School Architecture and Tughlaq architecture.